Dr Shirley Yu, Chinese economist, recently moderated the Sino-UK Belt and Road Forum & A Dialogue with Former Prime Minister David Cameron in London. The discussion on the Belt and Road initiative, and its impact on global economy was most insightful. Dr Shirley Yu (于泽), is a former CCTV 9 anchor, an experienced moderator and author. She holds a PhD in Economics from Peking Univeristy and started her career with investment bank Merrill Lynch in the US. Shirley Yu wanted to be the “voice” of China’s new economic language and this prompted her to join China Central Television (CCTV) News in 2009, where she hosted the morning news bulletins, daily Wall Street market news wrap-ups. In July 2015, amidst the China-induced global financial turmoil, Shirley moderated a panel in New York City with Dr. Alan Greenspan, Dr. Larry Summers and Steve Forbes on Chinese economy and the world, which has achieved impressive success. Since then, she has been a frequent moderator for numerous global forums, including the Boao Forum for Asia, United Nations World Investment Forum, Committee of 100 Conference, Asia Pacific Financial Conference, Australian institute of Company Directors Conference, just to name a few. 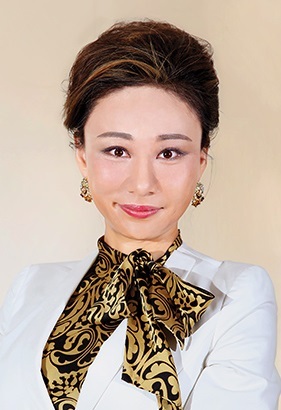 At present, Shirley continues as a business entrepreneur and independent financial host to connect China and Chinese private businesses with the world. Fluent in both English and Mandarin Chinese, Shirley is also a noted author, with three books to her name as of this time. Contact us if you would like to have Dr Shirley Yu at your next corporate event. Martin Jacques: What Can UK Learn from China and Other Asia Countries?